Stained or discolored teeth are an unfortunate reality that manifests over time. 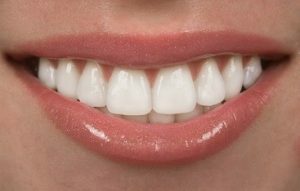 If you are embarrassed by yellowed teeth, a teeth whitening treatment can restore your smile to its most radiant state. Teeth whitening is not only one of the easiest ways to enhance your smile, but also one of the most effective. At Dr. Robert Milner’s Mission Viejo dental office, we are proud to offer our patients both in-office and at-home teeth whitening options to fit the needs and goals of each patient. Read on to learn more about the whitening options we offer. Can I Benefit From Teeth Whitening? If you have minor discoloration from drinking coffee daily, you may achieve your desired results with an at-home treatment. At Dr. Milner’s dental practice, we offer patients the NiteWhite Deluxe Kit, an advanced whitening system that allows you to whiten your teeth while you sleep or for a few hours during the day. The NiteWhite Deluxe Kit uses an enamel-friendly peroxide gel to fill thin custom bleaching trays that fit the unique shape of your teeth. The carbamide peroxide ingredient in the gel bleaches the tooth without affecting its structure. You will notice that your teeth look better after the first time using the gel, and your teeth will continue to lighten with each treatment. With consistent use, maximum results will appear in two to three weeks. An at-home whitening treatment does not hurt, but some patients do experience tooth sensitivity. These symptoms typically dissipate within one to three days after completing the treatment. During your consultation with us, our team of dental professionals will carefully go over with you how to use the whitening trays and will be available to answer all of your questions. For deep stains typically caused by certain medications, tooth decay and trauma, we recommend an in-office whitening treatment. An in-office whitening treatment is ideal for patients who desire a whiter, brighter smile instantly; one in-office treatment can lighten teeth up to eight shades in as little as one hour! And because the treatment is supervised by our licensed dental professionals, you can expect our whitening treatments to be safe and pain-free. Before each treatment, a member of our trusted dental team will thoroughly clean your teeth to prepare them for treatment. We will then place a rubber shield over the gums to protect them from the bleaching agent. The bleaching agent is applied to the teeth and will remain there for 15 minutes. The bleaching agent works by breaking up stains and discoloration into smaller pieces, which dilutes the concentrate of the stains and lightens the teeth. Depending on the whitening system used, we may use a special LED light to active the bleaching gel. The gel will be removed and then re-applied to your teeth every 15 minutes until the desired result is achieved. Once your teeth are brighter and whiter, there won’t be anything holding you back from smiling. Good oral hygiene is essential in maintaining your dazzling smile, as well as refraining from eating or drinking foods and beverages that could stain your teeth. Occasional touch-up treatments are recommended to maintain your whitening results. While in-office and at-home whitening treatments differ slightly in how they work, the results are generally the same: a brighter, radiant smile you will be proud to show off. Our team will work with you closely to find the teeth whitening option that best fits your needs and desired cosmetic outcomes. Learn more about our teeth whitening options by scheduling a personal appointment today. Please call Dr. Milner’s Mission Viejo dental office at 949-859-8899.